SELLER MOTIVATED! 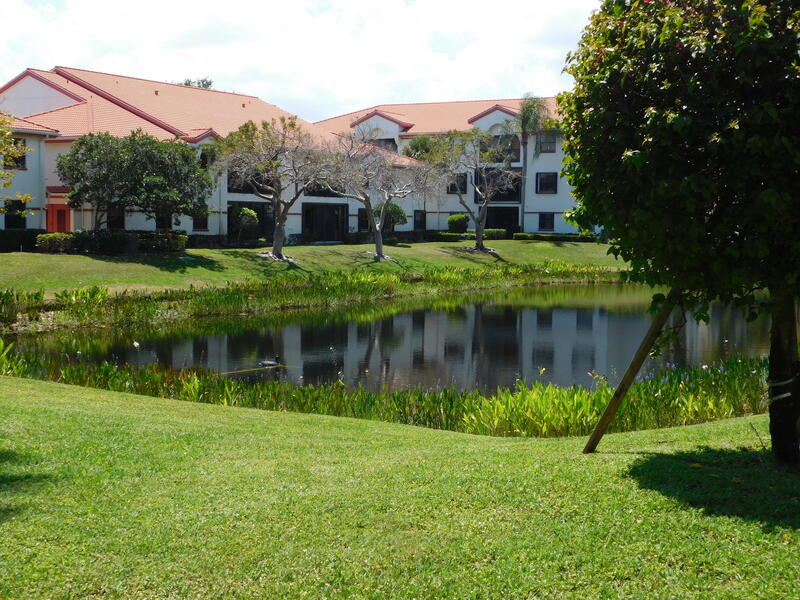 Nicely furnished first floor 2BR+DEN/2BA ''Chardonnay'' model lakefront condo with beautiful lake views. Bright open eat-in kitchen features black granite counters, white cabinets & newer refrigerator. Laminate, tiles & carpet in guest bedrm Newer central AC & hot water heater. Washer/dryer in closet. Dining/Living area leads to Florida room w/sliding glass door. Open concrete patio with privacy fence. 1 car assigned parking right in front of entrance. Walk to satellite pool, tennis, pickleball courts. Main clubhouse features a showcase theatre, cafe, clubs, fitness center, billiards, basketball court, indoor & outdoor heated pools. Regal Shores in Coral Lakes is an active adult 55+ resort style community offering world-class amenities, dining and amazing entertainment. This home is located in CORAL LAKES REGAL SHORES 55+ Active Adult Community. As an Active Adult Community Specialist for over 16 years, I know these communities very well. I am a real estate agent who cares. I don't just want to sell you a house, I want to sell you the perfect home that will fit your needs as well as your lifestyle. I live and play in an active adult community and the lifestyle is wonderful. Country Club living without the country club fees. To All of my baby boomers not quite 55 years old who want to live in a 55 plus community, please call me for a list of Active Adult Communities that will allow you to live in some of these wonderful communities! Please call me with any questions that you may have at (561)-306-7430.